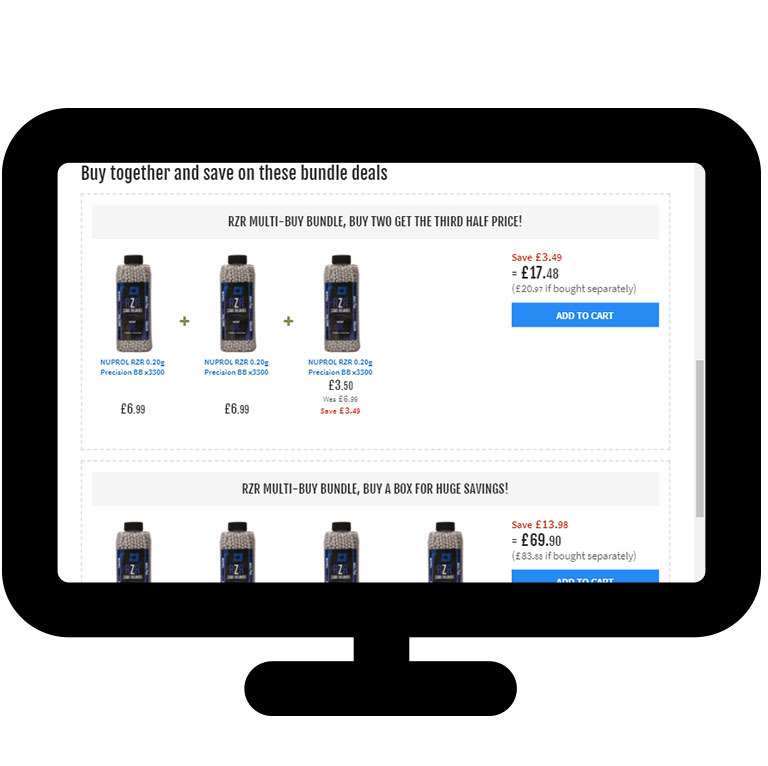 Bulk buys can be found on any product listing page where you see the Bulk Discounts flag. They are located after the main product description towards the bottom of the page. Save money now by bulk buying your Airsoft Consumables before your next game, so you can play harder for longer without worrying if you're going to run out! Buy groups of products together to save money in the long run, we have discounts for those Airsoft Players who plan ahead and buy in bulk, allowing you to get more for your money. We are offering discounts for our most popular Airsoft Consumables that players need for every single Skirmish, be it from BBs to bottles of Gas.